Anyone who works with Point Of Sale (POS), mobile Point of Sale (mPOS) or customer facing retail-based applications is aware of the significant changes that have been happening over the last decade; with major vendors, the core application stack, functionality and underlying technology. From a vendor perspective, it’s been a story of consolidation and reduced choices for merchants. Once upon a time, names like CRS, Triversity, Micros, Tomax, ComData, Cornell-Mayo, NSB, Radiant, Retalix, Retek and 360 Commerce were major software providers. Consolidation has been fierce and these vendors have disappeared, largely due to acquisition. Today, the 2 to 3 remaining enterprise providers are being challenged by less established, more nimble players like PCMS, Infor, as well as a number of more niche startups. Fewer available vendors means less competition and, generally, less innovation. This couldn’t happen at a worse time as consumers are shifting to omnichannel and mobile applications requiring retailers and hospitality providers to look for new approaches and technologies. 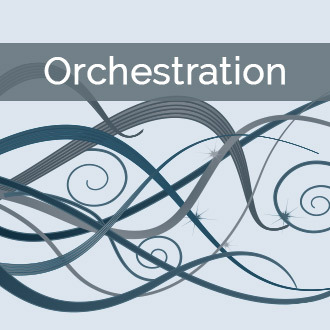 The traditional architecture, still in place in most large chains, is client/server based. Whether the server is a “primary register” or true back-office server, traditional POS tends to be a Microsoft-dominated C# or Java monolithic database driven application. Five years ago, these infrastructures were difficult to maintain, required expensive hardware, was hard to properly secure, and challenging to add new features and functions. Today, they are a catastrophe. At a time when technology should be lighter and easier to deploy, these major application providers require additional hardware, resources and expense. 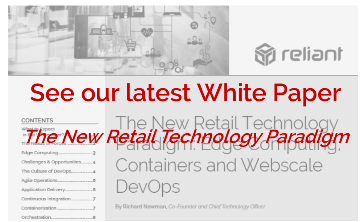 Many retailers in today’s climate are captive to the store-refresh cycle, which usually requires a significant capital investment and effort upgrading hardware and software every few years. Retailers understand the alternative. It’s generally based on the type of architectures that are used in mobile and the web frameworks today: a lightweight, microservices design that is agile, reliable, and don’t require “big iron.” A good example of this approach to in-store systems is a typical mobile POS implementation. 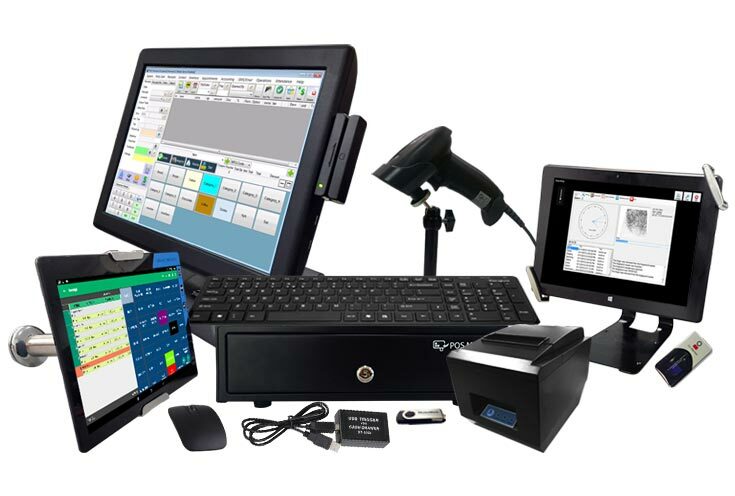 These systems run on something very different than the legacy Toshiba, IBM, NCR, or Fujitsu POS registers: an iPod, iPad, Windows, or Android tablet. Originally, the intention was to have these systems used by roving sales associates, but they are increasingly being deployed as fixed position registers. Most mobile computing applications have lightweight clients with the real compute and data services running somewhere else – typically the cloud. It’s natively web-centric, with web services providing the underlying transaction processing and delivery of data and content but with the added capability to provide an abstraction layer to a wide variety of 3rd party integrations. The challenge has been that like most mobile applications, they don’t do much when not connected to the supporting servers, whether in the cloud or the data center. 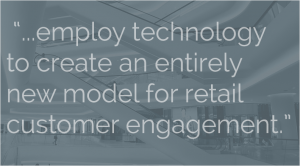 Since point-of-service front-end applications (POS, mPOS, kiosks) are mission critical – identifying/engaging the customer, structuring the transaction and providing payment acceptance, this is the lifeblood of customer-facing productivity. Stores and restaurants need to support these functions even when their network is down. Moving these servers and critical application components into the store is one option, but not ideal since it brings more single-purpose physical hardware back into the manager’s office. Instead, forward-looking retailers are considering a better, more modern day and distributed approach to microservices. This involves replicating critical components of the web services framework to the store, typically via a container driven architecture. There are core replication services which can provide for transactional service mirroring between cloud/data center and store. 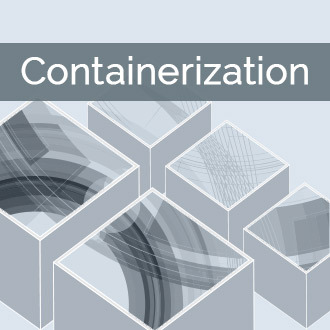 When these services are containerized, the environment can be lightweight and very compatible with an edge computing based approach across networking, integrated security, application configuration and system management. Here at Reliant, we are strong advocates of an edge computing architecture. 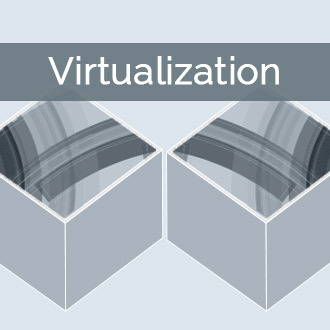 In addition to being able to support application replication and in-store containers for offline operation, our platform also supports a type-1 hypervisor for whole OS virtualization. This means the traditional legacy POS architecture can co-exist with modern day containerization providing a transition point or “bridge” from yesterday to today to tomorrow. In simpler terms, the “register 1” or “back-of-house” server supporting a traditional POS system can be virtualized and run in the store on Reliant Platform while containers supporting a new web services/microservices framework can be deployed concurrently and adjacent to existing systems. Since both next generation and legacy POS systems perform a large number of functions within a store, it’s ideal when they can co-exist during a platform transition. Individual functions, such as inventory management, payment transactions, employee services, inventory look-up, drive-through, KDS, etc., can exist on either the new or older platform as the store environment is steadily transformed. While not easy, this transformation surpasses “digital”, is surely overdue and is one that many of our current clients have already embarked on. Our platform provides the optimal way to solve a number of difficult challenges across networking, integrated security and application delivery. Well said. I’m glad to see your approach win out among other solutions over these last five years.